Does Your Furnace Have A High AFUE Rating? The Federal Trade Commission requires all furnaces and boilers to clearly show their AFUE rating for consumer consideration. AFUE is the primary standard of efficiency for all gas- or oil-powered heating units. It stands for annual fuel utilization efficiency and is a measure of the amount of consumed fuel that’s converted into effective heat for your home. Older models typically carry a rating between 56% to 70% AFUE, while high-efficiency heating systems will come in at 90% and above. As NATE-certified professionals, Cardinal Heating and Air experts can help you understand what AFUE means for your home’s heating system and assist you in finding the right Carrier® HVAC products to help improve the overall energy efficiency of your home. About 30% of your unit’s heat output is lost during transit. This means almost a third of your heating efficiency is absorbed by your home’s ducts and pipes. Your HVAC contractor can mitigate these losses by ensuring all ducts and vents are properly insulated. While it’s physically impossible to completely negate this loss, proper insulation can significantly lower the amount lost to a more reasonable level. We understand that buying a brand-new Carrier HVAC system means spending money. Some homeowners might not necessarily see this as practical, especially if their current unit is still functioning without any major issues. In these cases, retrofitting an existing system is one way to improve efficiency without a significant investment. It may not be on the same level as a brand-new high-efficiency unit, but utility costs can still be reduced in this way. For furnaces and boilers that are nearing the end of their service life, or for units that frequently require HVAC repairs, you may want to consider a full replacement. Faulty heating systems are one of the biggest drains on your home’s energy, often costing you more over time than would a visit from an actual technician. Ask your HVAC contractor about heating systems with high AFUE ratings when shopping around for a replacement. 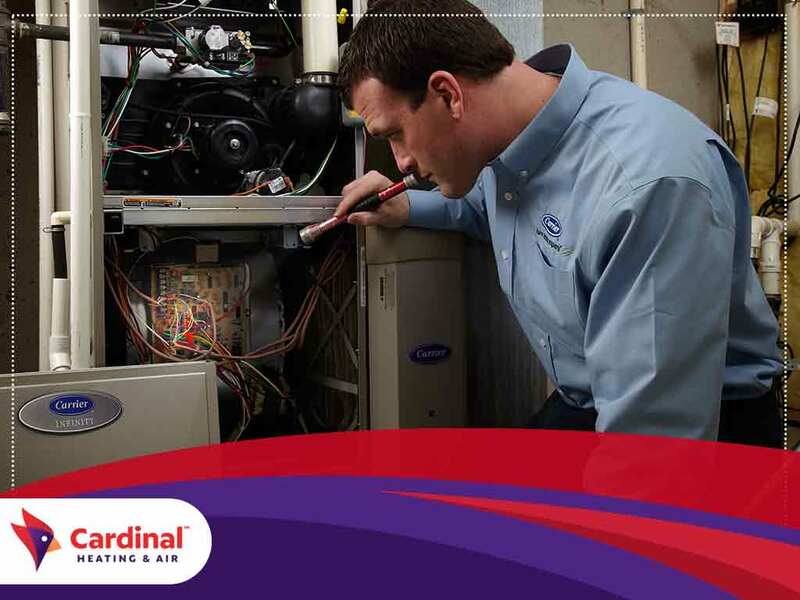 Cardinal Heating and Air have been installing, maintaining, repairing and replacing HVAC systems since 1991, and our highly-trained NATE-certified technicians can help you find an energy-efficient Carrier HVAC product for your home. Call us at (425) 296-2097 or use our contact form to schedule an appointment today.